These distressed Jeffrey Campbell leather booties feature a buckled strap at the ankle and a wraparound buckled strap at the split shaft. Seam and stud details. Rubber sole. 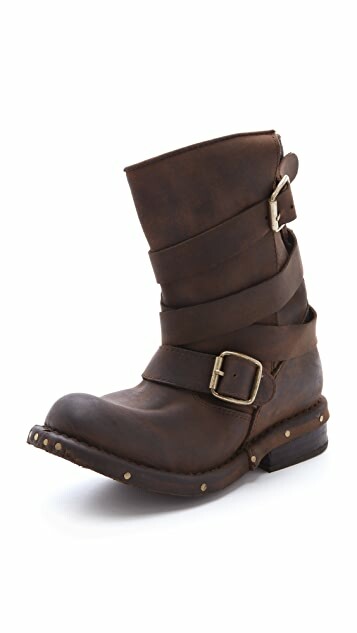 Got those with 70% off , good price for the quality, pair it with skinny jeans and rock and roll. Super happy with these in fit and style. Decent quality for the price, and the wraparound strap makes for a casual, stylish look while allowing variable snugness. Fit is true to size and except for some chafing on the first day, I've found them quite comfortable. You will absolutely need to size up!! 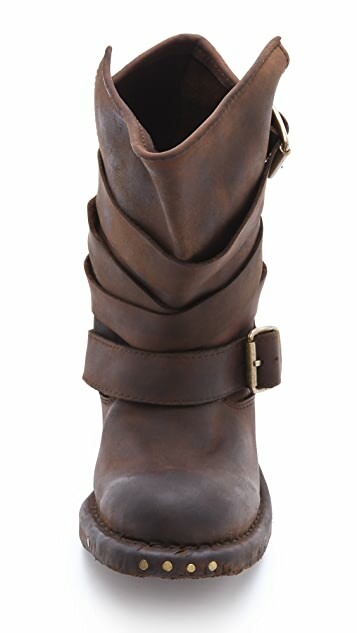 I loved the quality and look of these boots when they came - honestly SO great for the sale price - but I am a size 10 usually (sometimes even a size 9/9.5) and the 10 was very small on me. Reordered them in a larger size!! I am glad I got this pair of Jeffery Campbell for US$75 because the quality (the leather especially) of it is not very good. The leather looks like faux leather. So here I am again, I am addicted to these boots... 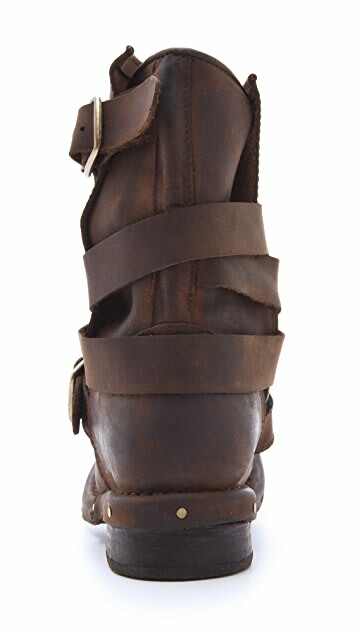 I call them my Zombie apocalypse boots, just because they are comfortable, edgy, and awesome!! Hehehe... I am definitely getting another pair and in brown too... Walking Dead here I come!! 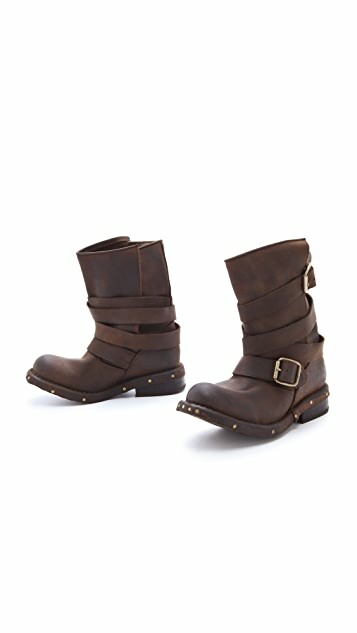 Shopbop sent me this boots were returned by someone else, and I'm disappoint in the quality of this product. I'm generally a US size 6. ordered 6 is ok.
Back in 2011 when these came out I couldn't afford them and I was delighted to see that Shopbop has them now that they've circled back. These are awesome. Timeless but still make a statement. 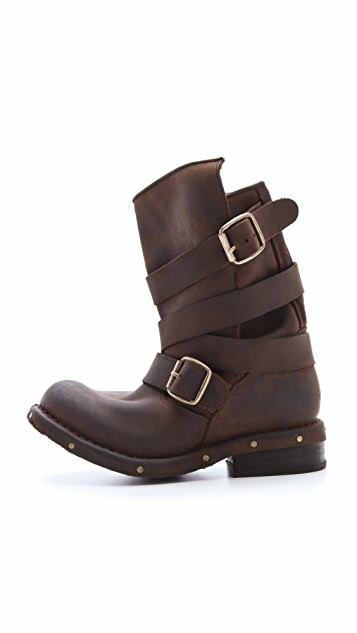 My other jeffrey campbell boots run small, but these run TTS, I am a 9-9.5 and the 9 was perfect. love the detailing and the pair I received was just the right amount of distressed (I ordered black) Shopbop shipped them crazy fast and their customer service rocks.